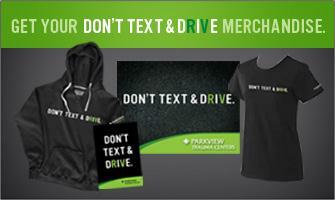 If you text and drive, you’re 23 times more likely to have a car crash. Texting while driving has become the number one driving distraction for many people. Drivers need to be aware of the dangers and keep their attention on the road, not on their cell phones or other mobile devices. Parkview Trauma Centers have developed the Don’t Text & Drive campaign to help educate communities and stop preventable tragedies. Educate yourself. Take the pledge. Share the message. Don’t Text & Drive. Please, take 30 seconds to see why the choice to not text and drive can save some lives.